As the latest in a series of studies, researchers at Plymouth University, National Institutes of Health and University of California, Riverside, have shown the ability of a vaccine vector based on a common herpesvirus called cytomegalovirus (CMV) expressing Ebola virus glycoprotein (GP), to provide protection against Ebola virus in the experimental rhesus macaque, non-human primate (NHP) model. 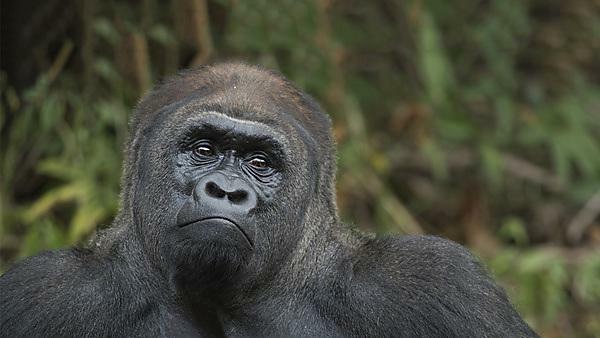 Demonstration of protection in the NHP model is regarded as a critical step before translation of Ebola virus vaccines into humans and other great apes. The study is published today, Monday 15 February, in the online journal from Nature publishing, Scientific Reports. In addition to establishing the potential for CMV-based vaccines against Ebola virus, these results are exciting from the potential insight they give into the mechanism of protection. Herpesvirus-based vaccines can theoretically be made to produce their targeted protein (in this case, Ebola virus GP) at different times following vaccination. The current CMV vaccine was designed to make the Ebola virus GP at later times. This resulted in the surprising production of high levels of antibodies against Ebola virus with no detectable Ebola-specific T cells. This immunological shift towards antibodies has never been seen before for such primate herpesvirus-based vaccines, where responses are always associated with large T cell responses and poor to no antibodies. “This finding was complete serendipity,” says Dr Michael Jarvis who is leading the project at Plymouth University. “Although we will definitely need to explore this finding further, it suggests that we may be able to bias immunity towards either antibodies or T cells based on the time of target antigen production. This is exciting not just for Ebola, but for vaccination against other infectious as well as non-infectious diseases”. A largely untold story is the devastating effect Ebola virus is having on wild great ape populations in Africa. Although the present study administered the vaccine by direct inoculation, a CMV-based vaccine that can spread from animal to animal may be one approach to protect such inaccessible wild animal populations that are not amenable to vaccination by conventional approaches. The current study is a step forward, not only for conventional Ebola virus vaccines for use in humans, but also in the development of such ‘self-disseminating vaccines’ to target Ebola in great apes, and other emerging infectious diseases in their wild animal host before they fully establish themselves in humans.